In part one of this article, we detailed three of the absolute best entry level cars money can buy in 2015. And while the following vehicles didn't make the main list, these vehicles are great alternatives for car buyers looking to get the absolute most value for their cash. Hyundai did not hold back with their redesign of the Genesis. J.D. Power gave the 2015 the best ratings in its class for body and interior design, powertrain, and overall quality. 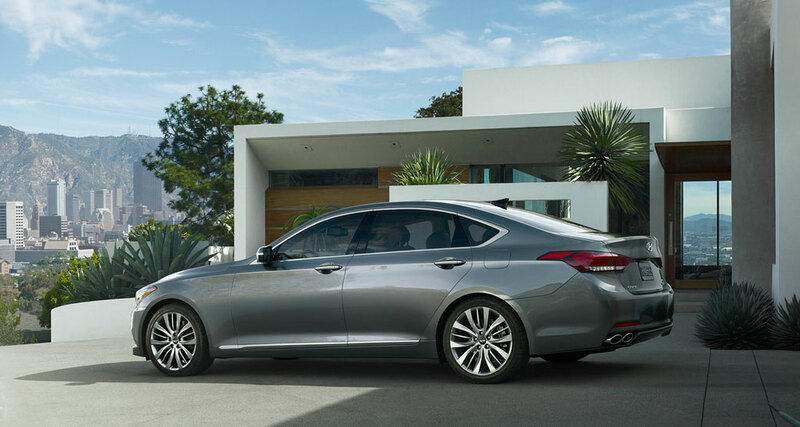 Hyundai has been receiving praise for just about all of their latest designs, and the richness of the Genesis will not leave anyone wanting either. It's very roomy, with a total of 123 cubic feet of interior space. Its size doesn't hold it back though because there is plenty of power built in. The V6 engine gives drivers up to 311 horsepower so no one is stuck Sunday driving unless they want to be. You can choose your drive mode to enhance comfort, save on gas, or make things extra sporty. And if sport is what you're really looking for, you can also upgrade your engine to a 5.0-liter V8. It's packed with cutting-edge safety technology that Hyundai illustrated in an outlandish commercial. They showcased a fleet of Genesis models operating themselves to demonstrate the effectiveness of features like their Adaptive Cruise Control, Lane Keep Assist, and Automatic Emergency Braking. Starting at $38,000, this smooth operator is an impressive 2015 entry from Hyundai. Acura has been in the luxury game for a long time and to put it simply, they just do it well. The TLX is a classy, capable sedan that has lots of people in the industry talking. This car is impressively lightweight though its tough frame is superior to those of its competitors. With high marks for rigidity and safety, the frame was developed and tested specifically for the TLX. The price starts at $30,995, but buyers can opt for a capable inline 4-cylinder or up their game by paying more for a V6 that furnishes 290 horsepower. It's also available with all-wheel drive. Little touches bring the whole thing together. For an improved driving experience, the halogen bulbs have been tossed out, and a tightly angled series of LED headlights looks sharp. They light more of the road faster than typical bulbs to make night driving safer. Inside, there is a convenient touchscreen that controls it all, and if you like having your tech handy all the time, you can integrate Siri. That's not to mention the premium audio system Acura has included. The TLX is bound to put a smile on any driver's face. If you want something that's both sophisticated and speedy, this 2-door coupe won't leave you unsatisfied. Pricing starts at $32,100, and even the base model can go from 0-60 in 5.4 seconds. Being big on performance doesn't drag this model down when it comes to filing up the tank. It gets 34 miles per gallon on the highway, so it won't break the bank. New for 2015, you can opt for all-wheel drive if you'd like. And there are lots of other upgrades you can choose from including a sport package and a number of tech features. BMW's 228i is pretty roomy for a sports car, and it has a smart cabin setup. A premium instrument panel, large display, and moonroof make the it incredibly alluring. Leave it to BMW to put together a package this good-looking and gratifying.